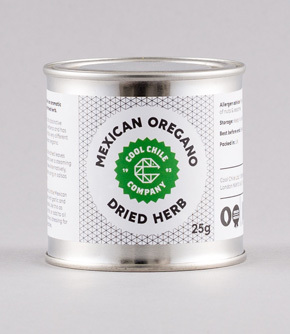 Mexican Oregano is an aromatic and spicy cut leaf dried herb. Native to México, this distinctive herb is related to verbena and has a citrus flavour that is very different from Mediterranean oregano. Blend a little Mexican Oregano together with garlic and salt to make a paste. Use this as a rub for meat or fish, or add to oil and vinegar to make a dressing for salads and vegetables. Rub the dried leaves between your palms over a steaming bowl of soup or stew. Alternatively, toast lightly before using in salsas and marinades. Dried whole kernels of maize with a distinctive chewy texture.In Mexico, maize – also known as hominy in the US – is often used to make pozole, a savoury, brothy stew with pork, chicken or beans. Pozole is traditionally served for celebratory meals with colourful garnishes like shredded cabbage, sliced radishes, diced onion, Mexican oregano, árbol chilli flakes, lime wedges, and tostadas.